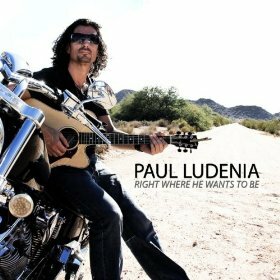 Chandler, Arizona, resident, Paul Ludenia, has released his third solo project, Right Where He Wants To Be, and what a project it is! I admit that this CD is my first introduction to Paul but, wow! What an incredibly talented artist this man is! Right Where He Wants To Be is a great platform to showcase the musical talents of Ludenia – so much so that, after one listens to this CD, they’ll be inclined to want to order his previous two CDs (his 2009 disc, Styles for Miles and his 2011 project, TwentyTenAgain). 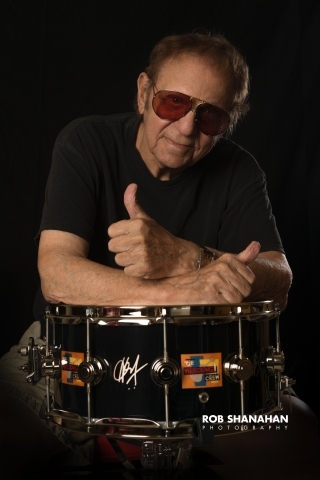 And while Paul did enlist the help of fellow Valley of the Sun resident guitarist, Tony Olivas (Olivas co-wrote Just Say You’re Not In Love and played the solos on that song as well as on I Scream, Tomorrow, and Ain’t It A Shame), he (Paul) wrote, sang, performed, recorded and produced the album himself. Ludenia’s wide range of musical influences are evident on this disc, each demonstrating his songwriting, musical and performance prowes. From rock to reggae, Paul’s got the chops. The tunes conjure images of Clapton, the Fab Four, Marley, Van Halen and many others. Order or download a copy of Right Where He Wants To Be. It’s great music by a great, up-and-coming artist. Also, if you happen to live or visit the Phoenix area, be sure and catch Paul at one of his many gigs in the Valley of the Sun. His performance schedule is quite full which attests to his talent and his following.